11pcs Color Gel Filter for Strobe Light Photography Flash Studio Lighting 12"
The flash bracket accepts a mount type flash and has a tripod socket. Built-in Tripod Socket. Give us a chance to make things right for you, and we will do our best to provide a fitting solution. 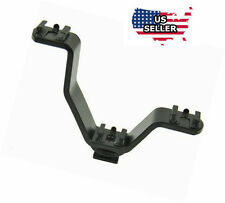 Quick Flip Flash Bracket Grip Camera Flash Arm Holder Stand for Nikon Canon DSLR Package Including: Flash Bracket grip *1. Sturdy, lightweight aluminum construction. Backstop for secure mounting. 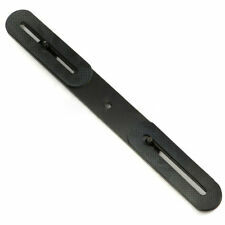 Provides mounting points for light, monitor, microphone. Fit Device: for any model of NIKON or Canon brand DSLR Features: * Visual LCD display with high definition. * Consist of 48 pieces LED, higher luminance and lower static power consumption. * The left flash and right flash function makes objects appear more dimensional. 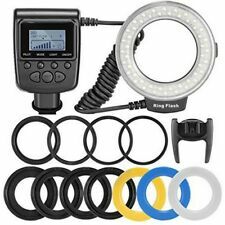 * High-quality LED light close to natural light, seven levels of luminance status to meet higher photograph needs * The ring flash can be mounted on a camera as photography light. * It is designed and moulded on the basis of ergonomics for the convenience of reading and operation.. LED bead qty: 48PCS. - New LED flash technology. - Consist of 48 LEDs, higher luminance and lower static power consumption. It's really a wonderful photography partner and a must have for photography lovers. The flash will not flash synchronously with the first flash, but the second flash from the master flash. S1 and S2 modes are applicable to slave flash to generate many lighting effects, you can use the built-in flash or the top external flash as the master flash, and the flash is placed in various directions. 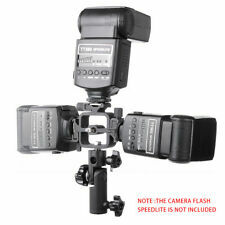 TT560 Flash Speedlite for Canon Nikon Panasonic Olympus etc. (1) Switch to the ON, the flash will start charging (the charging indicator is dim). After several seconds, the charging indicator turns red and TT560 is ready to shoot. 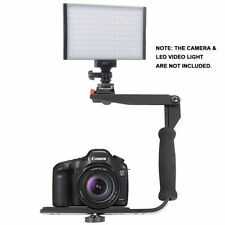 Quick Flip Flash Bracket Grip Camera Flash Arm Holder Stand for Nikon Canon DSLR Package Included : Flash bracket grip *1. 8inch 5-in-1 LED Light Ring Stepless Dimming Lighting with USB Cable Selfie Stick Tripod Bluetooth Shutter Phone Clamp for Makeup Phone Camera Selfie 3200-5500K Three Light Colors . Description : 30CM Long, 3.5MM Bore With the Sync cord, you can connect the receiver of PT-04 to the 3.5mm plug of Studio Strobe or connect it to the 6.35mm plug of Studio Strobe after using the 3.5mm-6.35mm adapter. Package includes : 1 x Sycn Cord UPC Does not apply Modified Item No Custom Bundle No MPN Does not apply Brand Unbranded Non-Domestic Product No. You may also adjust the umbrella and flash in different angle. Suitable for all Hot-Shoe flash, trigger transmitter or slave. Hot shoe flash mount on top make it easy that you could mount a hot shoe flash slave sensor receiverHot shoe flash mount on top make it easy that you could mount a hot shoe flash slave sensor receiver. TT560 Flash Speedlite for Canon Nikon Panasonic Olympus etc. . (1) Switch to the ON, the flash will start charging (the charging indicator is dim). After several seconds, the charging indicator turns red and TT560 is ready to shoot. 6inch 3-in-1 LED Light Ring Stepless Dimming Lighting with USB Cable Selfie Stick Tripod for Makeup Phone Camera Selfie 3200-5500K Three Light Colors . Ring-shaped diffuser to spread the effects of the flash wider through a room and to make the flash a little less direct;. 1 x Flash Diffuser (Other accessories not included). Pure white surface to prevent from ending up throwing colored light onto the scenes;. US Local Shipping This unit can be combined with any light stand, tripod, ballhead, flash gun, flash trigger or other similar items. 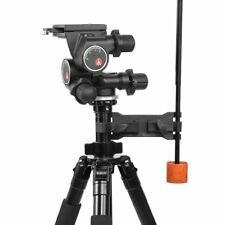 And can be attached to your light stand, insert your flash unit and umbrella and adjust your mount so it is at an optimum angle for getting great photographic results . Features: 360 degree angle ballhead allows you to change the angle smoothly. 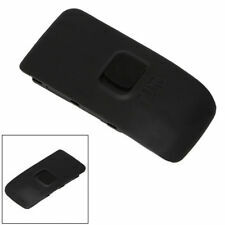 The hot shoe on the top is made of plastic which can prevent scratching on the flashes. The holder body is made of metal, strong enough to hold flashes, large load capacity, durable and steady On the top, there is a hot shoe flash mount. It is fit for all flash guns/Speedlite with standard hot shoe socket. The hot shoe. Even lighting: reducing roughness and softening shadows. With extra internal diffuser, you can surround the lights better. For photo flash diffuser light flash installed components. Included: 1 x Diffuser Light Soft Box. Dimmable: YES. DIMMABLE LED RING LIGHT: Dimmable 18"/48cm Outer 55W 5500K 240 Pieces LED bulbs with a wide dimming range from 1%-100%. 1 x Dimmable LED Ring Light. Special LED SMD design, lightweight and portable. Neewer AD-R6 Standard Bowens Mount Reflector For NW600BM. Bowens mount design facilitates most studio flash accessories, e.g. 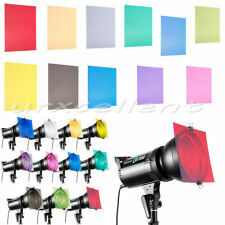 softboxes, reflectors, beauty dishes, etc;. Softbox (Bowens mount supported). With 1/4" standard thread on the bottom for screw it onto a light stand. We really appreciate that. NOT FOR SONY FLASHES. It’s a specialized design for the Canon Digital Single Lens Re ex. It is one kind of Macro Ring lite with. 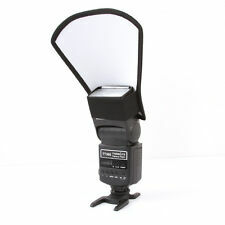 New generic MK-14EXT LED Macro Ring Flash Light. 1 x MK-14EXT LED Macro Ring Flash Light. Flash exposure con rmation: Flash exposure con rmation lamp lights. Lambency diffusers spread and soften the light emitted from your flash unit. when taking portraits or other close up shots to eliminate harsh shadows that can otherwise ruin a photo. You may also adjust the umbrella and flash in different angle. Hot shoe flash mount on top make it easy that you could mount a hot shoe flash slave sensor receiverHot shoe flash mount on top make it easy that you could mount a hot shoe flash slave sensor receiver. Features: 100% Brand new and high quality! This Internet Streaming/Media Centre TV Box is for you! Supports usual for Android apps so you can access your for email, for Facebook etc. via your TV. Best choice for yourself or your friend. 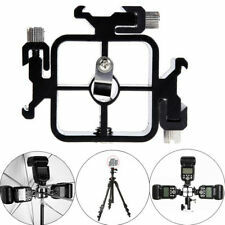 Photo V shape Dual Mount Bracket Hot Shoe for Video Lights Microphone​s Package Included: V Bracket x 1. Flash diffuser softbox silver/white reflector. Flash diffuser x 1. Nikon SB-800, SB-600, SB-80DX, SB28, SB26, SB25, SB24. Canon 580EX, 550EX, 540EZ, 430EX, 420EX, 380EX, 430EZ. For soft indirect flash light use the pure white size. This is NOT a Nikon product. A neccessory tool for video shooting. 9X5 Direct Drive EP9050 Propeller Park Flyer RC PROP Airplane aircraft New SN. We will reply you ASAP. ❤New List Item. Model: FS-04. A neccessory tool for video shooting. I am here to help. Each flash bar is good for 10 flash photos. FUNCTIONALITY: Each flash bar is unused. Each flash bar is good for 10 photos. ITEM PHOTOS: The flash bar shown here represents a sample of what I have available. This L-shape bracket is very stable. 1/4" hand screws all have 1/4" screw hole at the bottom, support extensions. Made of durable aluminum alloy. Material：aluminum alloy. Give us a chance to make things right for you, and we will do our best to provide a fitting solution. 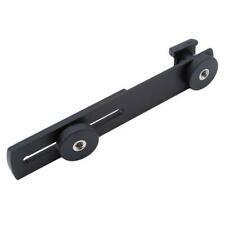 Allows you to attach extra hot shoe accessories to your camcorder. One (1) Hasselblad to Canon adapter. Two hot shoes. Give us one chance to get problem solved Friendly. 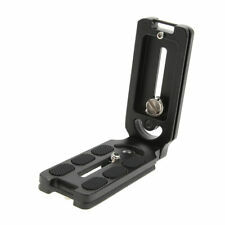 V shape Dual Mount Bracket Hot Shoe For Video Speedlite Lights Microphones Package includes: V Bracket x 1. 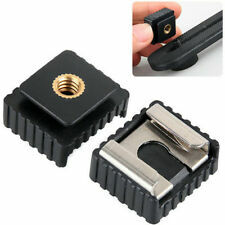 RARE Flash Hot Shoe adapter for film camera Old type Sync cable USSR. Condition is Used. Shipped with USPS First Class Package. This ball head adapter fits onto a standard accessory shoe and locks into position. Note: This ball head doesn't compatible with all the ring flash light. Ball head can be adjusted into most any position. For Nikon SB-800, SB-600, SB-80DX, SB28, SB26, SB25, SB24. For Canon 580EX, 550EX, 540EZ, 430EX, 420EX, 380EX, 430EZ. For soft indirect flash light use the pure white side. For greater range and spectral highlights use the silver side. 2x 1/4" Hot Shoes Mount Adapters. 2x 1/4" Adapter Captive Screws. Designed with 1/4” screw hole. We have near perfect feed back. Product weight: 150g. This L-shape bracket is very stable. 1/4" hand screws all have 1/4" screw hole at the bottom, support extensions. Size: 12 3 16cm/4.7 1.2 6.3in. The images are for reference only. Diffuse and Soften Light from Flash Unit. -This Flash Diffuser can enlarges and diffuses the light in the direct flash position from flash unit, producing considerably softer shadows natural and appealing pictures. Detachable hot shoe can install tripod and speedlite with a1/4" screw. Swivel Light Stand Bracket E type bracket is useful flash light mount. With1/4" to 3/8" screw mount swivel adapter. 1 Flash Bracket. Features:Support for Canon's E-TTL. The splitter doubles the hot shoe for your camera / camcorder.Also can trigger other types of speedlite and camera, such as for Nikon / Pentax / Olympus.Can bear objects which weights up to 3 KG, increases the service life of your hot shoe.Made of ABS & PC, makes it lightweight, convenient to use.Achieves perfect fill-in light during the shooting at any angle.Descriptions: Maintains Ful.